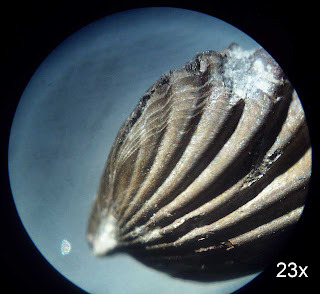 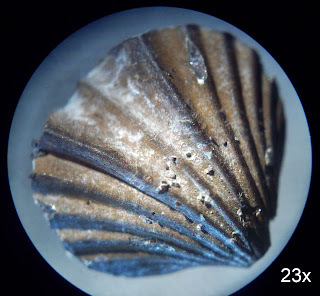 While this brachiopod is common in the Waldron Shale, these in pyrite form are rare. 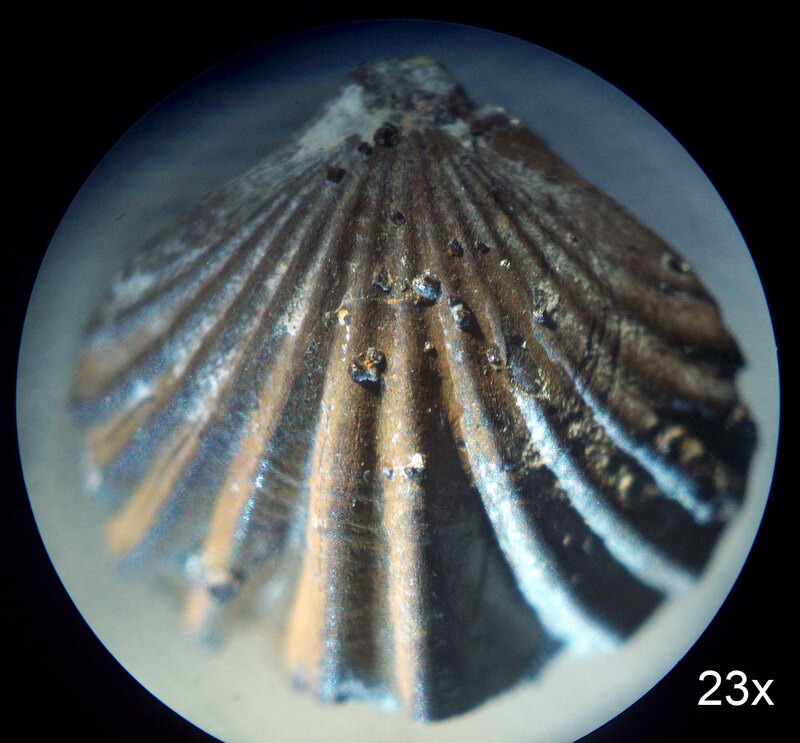 Field of view of the microscope is about 8 mm. Internally, the fossil is calcite which is covered in a thin layer of pyrite.